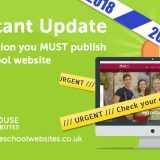 Red school websites? 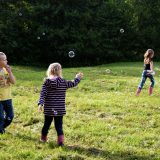 Pink school websites? Did somebody say Valentines Day? We’re still waiting for the postman (he’s probably struggling with the size of his sack today) but with the colour red firmly in our minds, we thought why not have a look at websites which use the colour red and pink in their design. After all red is one of the most popular colours for schools to use in their branding. In fact if you filter our huge online website portfolio by colour, over 200 pink and red websites come up! 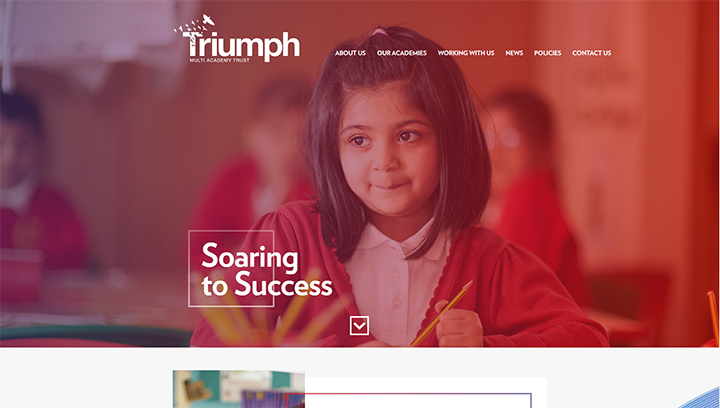 Below we’ve picked a few pink and red school websites as examples to show why these colours are so popular and just how versatile these two colours are. 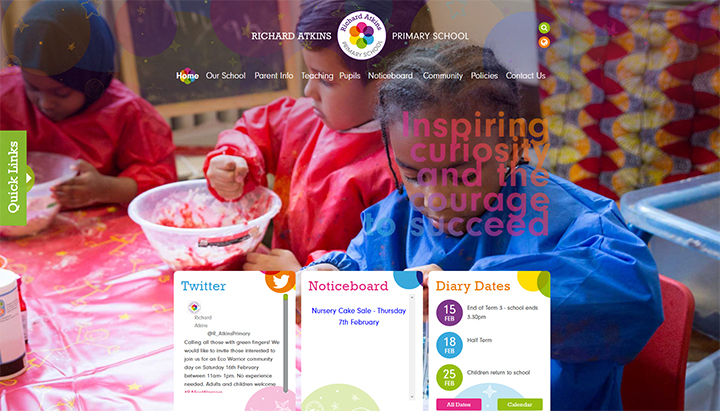 A rainbow colour scheme gives this website a playful look; the blend of pink, red and purples (amongst other colours) are a great look for a primary school. 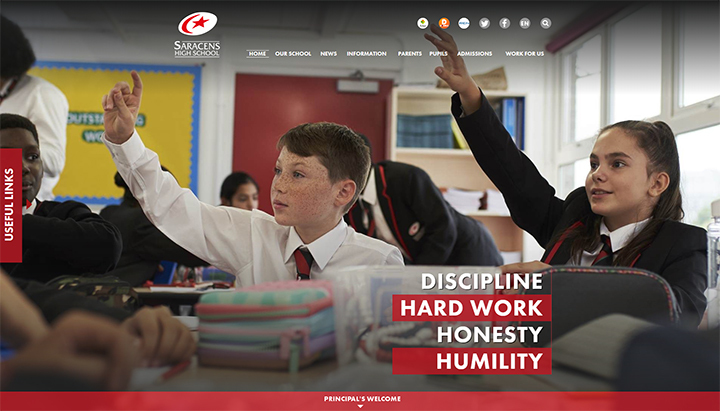 A bold website that uses black and red as its main colours, The Saracens High School website certainly stands out. On this website we used red in the drop-down menus. 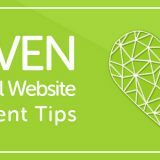 We also used the bright red colour to make some elements of the website really stand out, such as the Useful Links tab on the side of the page, and the super-navigation bar at the top of the page. 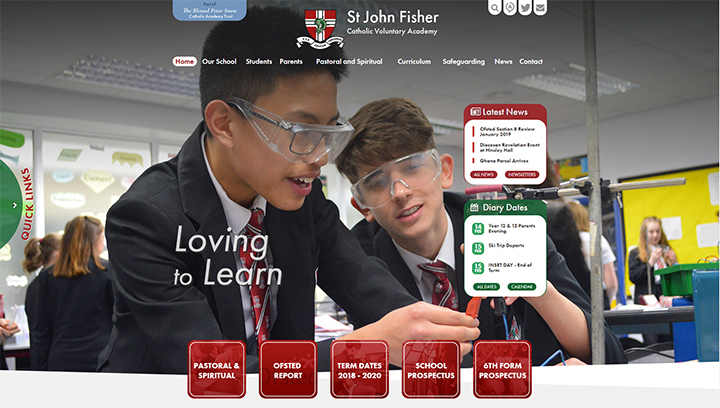 This website features the dark red and forest green of the school’s logo as accent colours. The menu drop-downs are white with red text; when hovering over them, this inverts to red with white text. Each panelled section of this website features a photograph overlaid with a vibrant and warm gradient in red, pink and purple. 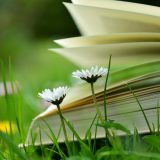 The full screen background photos on the home page are also overlaid with a colourful filter, adding shades of purple and red. 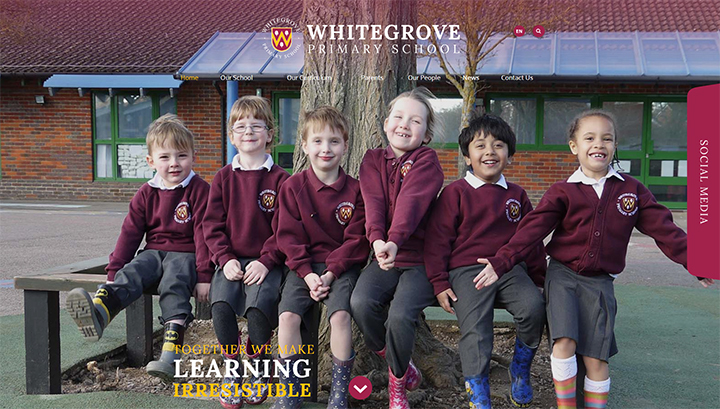 Whitegrove Primary School chose to use burgundy as the main colour of the website. There are also touches of yellow, taken from the school’s logo. 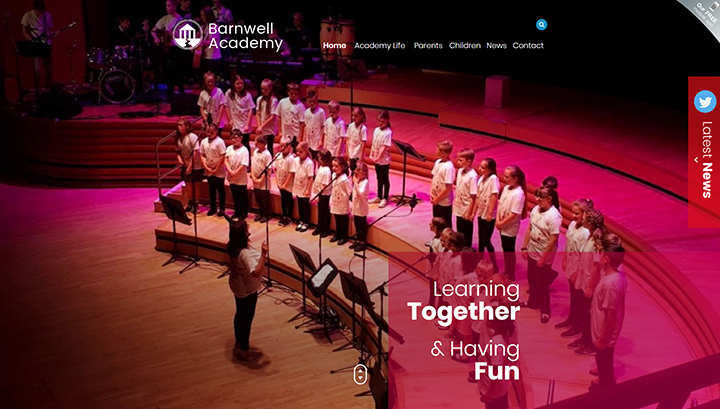 This academy website combines red and blue, with touches of pink. The red shade used was matched to the school uniform. 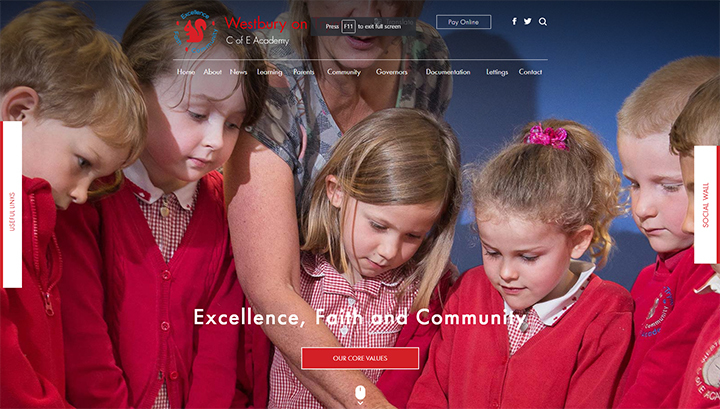 What initially looks like a simple school website using white, red and touches of blue is actually packed with little details. 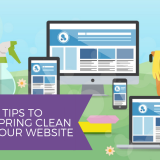 The acorns and squirrel in the logo can be found throughout the website, and the buttons are animated. 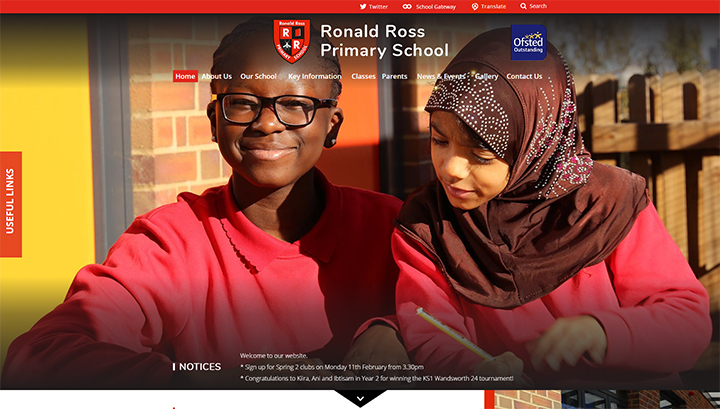 A red school website is a popular choice for schools that have a red school uniform. 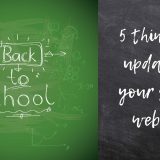 Want more examples of red school websites or pink school websites? 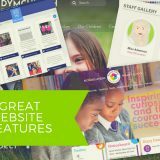 Take a look through our School Website Portfolio, where you can filter schools not just by colour, but also by features and style. 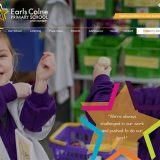 Or get in touch to chat about the colours you’d like to see on your new school website! 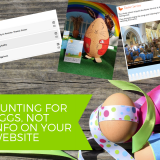 Next story Can your school website can offer more value than you thought?